If you are currently experiencing an emergency, call us at (651) 487-3255 or to learn more, click on the link below. Welcome to AfterHours Veterinary Care (AHVC)! 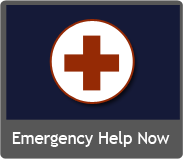 If your pet is currently experiencing an emergency, Call 651-487-3255 or click on the “Emergency Help Now!” button for instructions on how to proceed. AHVC offers Urgent Care, Critical Care and Emergency veterinary services to multiple species of companion pets (including birds and pocket pets) during those “after hours” when your regular veterinarian may not be available. Our experienced staff of doctors and technicians are available 24 hours a day, 7 days a week – including weekends and major holidays! We are centrally located in St. Paul, and are conveniently available to the whole Twin Cities Metro. 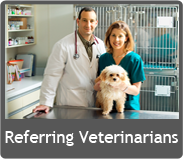 No one wants to think about their pet being sick or injured, but now you can think of us anytime your pet does.